Cool Ray. 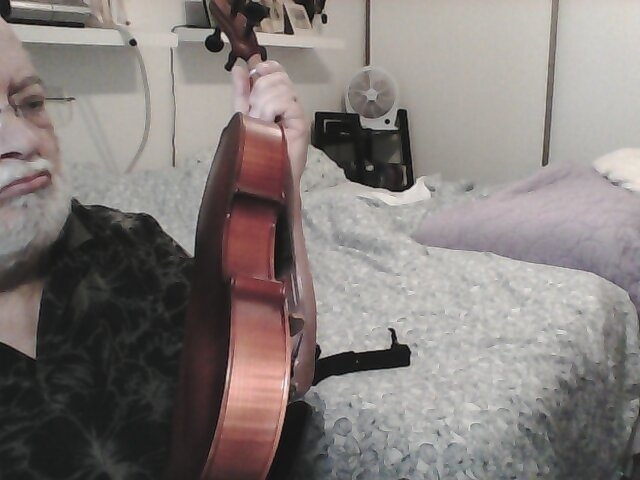 I believe that it's a great way to play both the violin and viola more in tune rather than getting used to spreading the fingers more on the viola. that's a lovely looking fiddle, ray! 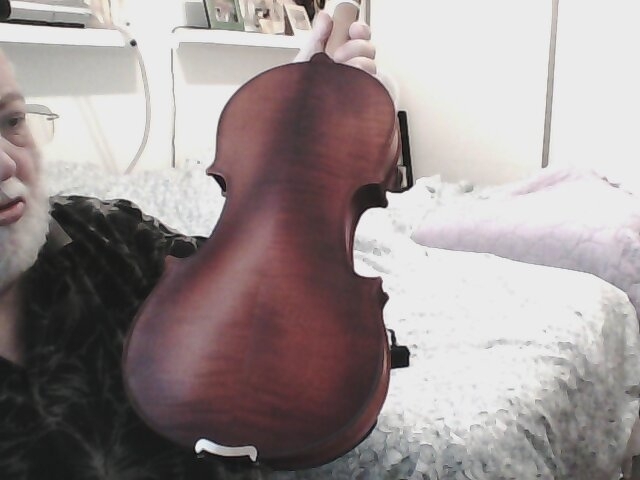 Is a Viola sort of a bass fiddle\violin? Why is it termed the Darkside? A viola is of the same family as the violin, perhaps even more senior than the violin in age of development. Normal violas vary in length from 15 to 17 inches in the body and 3-5 mm in thickness in the body. Because of the larger resonant chamber that is the body they have a more mellow or "darker" sound. This sound appeals to some players. 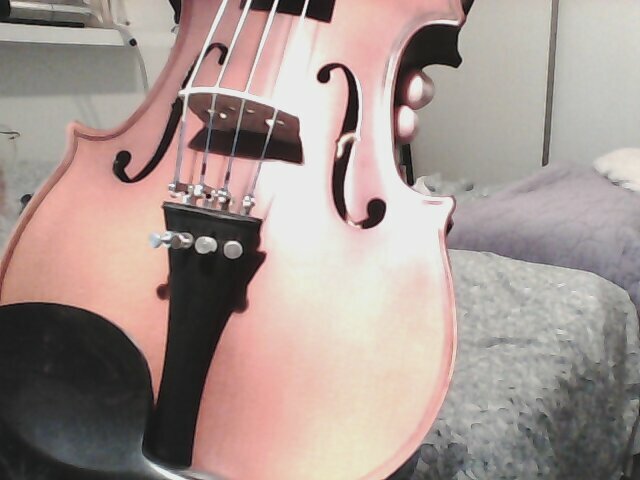 It is tuned in fifths as is a violin but has a C string below the G of the violin and lacks the E string of the violin. Because of the variable length of the body, string length is not standard so finger positions can be spread out and noticeably different between violas. 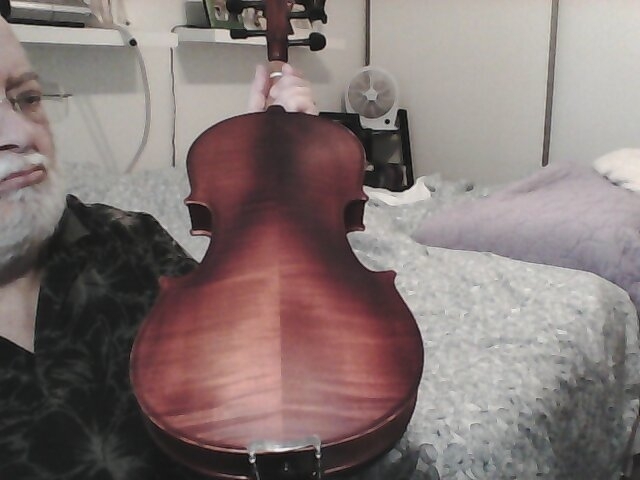 My new viola is built as a viola but is 14" in the body just like a violin though still thicker in the body so it has the darker sound of the viola. 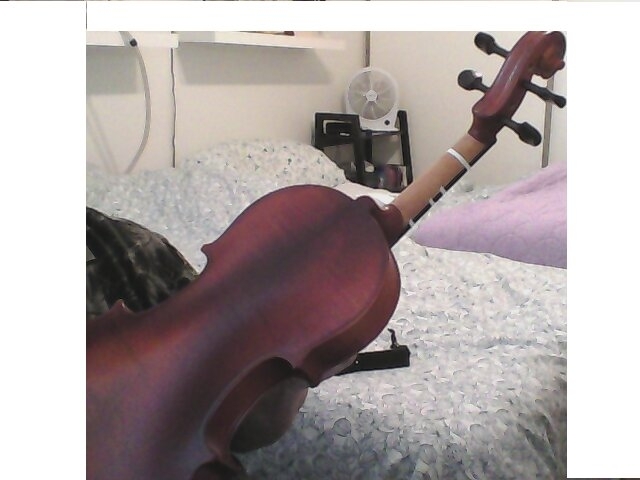 I am a total beginner so what I have learned about playing a violin still applies to MY viola. 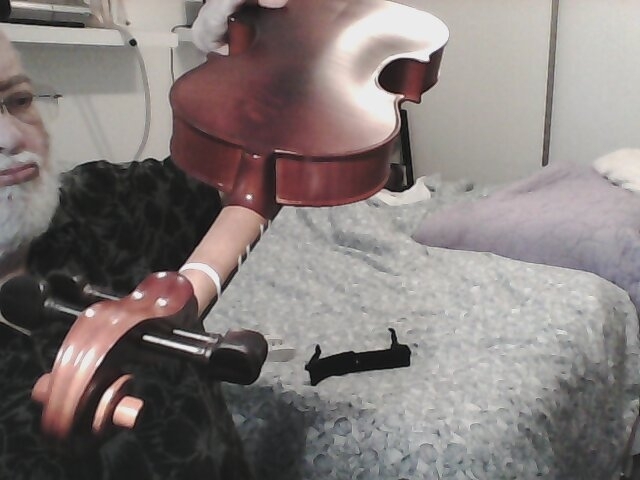 Should I choose to, I could string this instrument as a violin and it should play just fine. 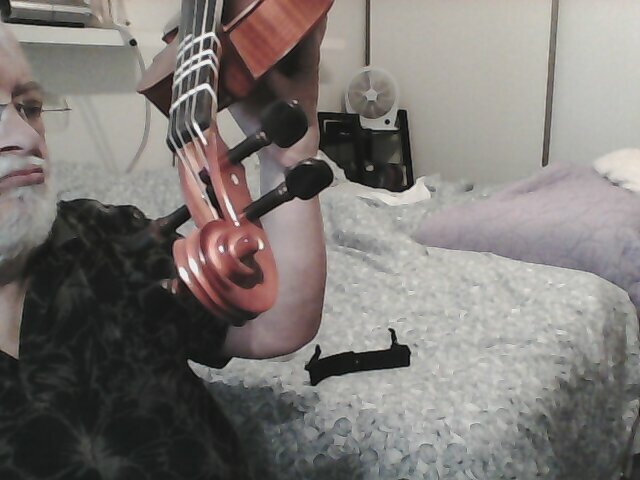 When I took it to our Celtic Jam 5 or 6 violin fiddlers tried it out and had no trouble adjusting to the altered range of notes and liked the instrument. 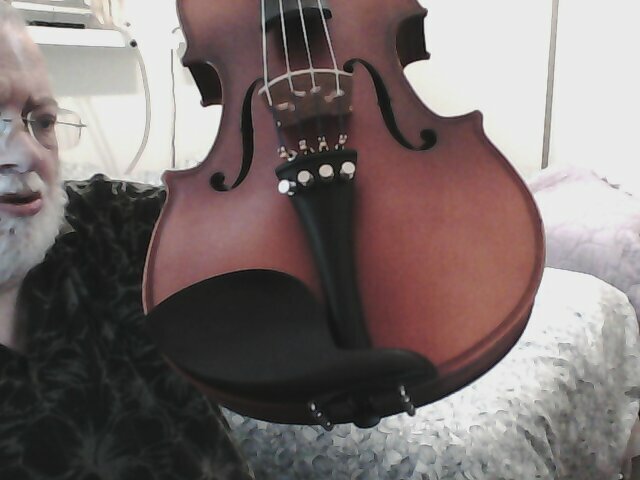 My viola is named 'luain' after a fictional Druid Seer in a Manda Scott novel, Dreaming The Hound. I have been asked why I call it a fiddle. 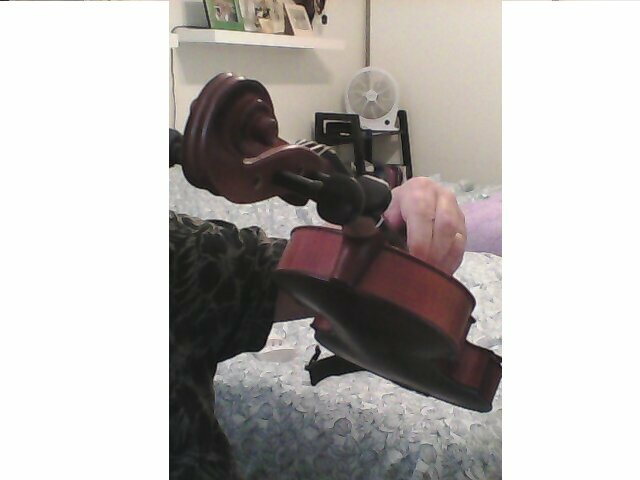 If a violin becomes a fiddle when it plays fiddle music it stands to reason that a viola playing the same tunes must also be a fiddle and in this case since it looks like a fiddle looks ergo it must be a fiddle .... but with a surprising voice. The "darkside" is a little bit of a joke. It's like going over to the wrong side of the tracks. The viola is the victim of a lot of jokes, way more than any other instrument. It's gotten so bad that conductors crack viola jokes. Some of the biggest viola joke tellers were actually the professional violists themselves. I guess violists have a good sense of humor. Good enough to laugh at themselves. At the same time, "Darkside" would describe the color of the sound. Violins have a lighter tone whereas viola's have a darker sound.